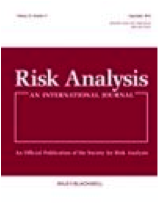 On 9 June 2012 John Wiley & Sons published in EarlyView format our paper (by Laurence Ball-King, John Watt and David Ball) describing the regulation of adventure sports over the last two decades since the Lyme Bay accident in 1993. In particular, the paper traces the history of the Adventure Activities Licensing Authority (AALA) which was set up post-Lyme Bay in response to the concern which that event raised, and which now faces abolition as a result of recommendations by Lord Young’s inquiry into the conduct of health and safety. Although we find Lord Young’s recommendations timely and generally appropriate, the paper describes why we disagree in respect of AALA’s proposed abolition. Far from being abolished, we think that AALA deserves commendation for its work and furthermore that it provides a model for other specialist sectors. The latter is because we believe that safety in adventure activities lies first and foremost in the skills, experience and competence of adventure leaders who are immersed in the activities, and not within the general health and safety community and its protocols which originate from factories. While generalist H&S practitioners may well be able to handle workplace hazards, they are not necessarily knowledgeable about the challenges of the wild. AALA inspectors, currently, are all highly experienced in their respective domains, and this is probably why, as the paper reveals, they are so well respected by those they oversee. Or you may request a reprint from David Ball. These should be available later this autumn.